Fat Cat Fishing Charters Caters to Kids ! Bring the kids for a day they will remember a life time. There is no better time spent together as a family than fishing with Fat Cat Fishing Charters in the Tampa Bay Fl area. The memories your kids will have will last a lifetime and give them a positive out look on life that YES I can do it, and every one in the family can participate. Make it a day or evening to remember. Things To Do In St Pete, St Pete Beach and Tampa Bay Fl Area. Looking for things to do in the St Pete, St Pete Beach, Tampa Bay Area? Take the family and kids on a St Pete Fishing Charter and give them a memory that will last a life time. There is no better time spent together as a family than fishing with Fat Cat Fishing Charters in the Tampa Bay Fl area. The memories your kids will have will last a lifetime and give them a positive out look on life that YES I can do it, and every one in the family can participate. Make it a day or evening to remember. Kids catch fish on St Pete Fishing Charters. 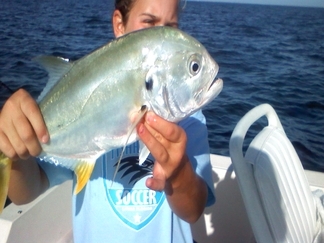 Kids find things to do in St Pete, St Pete Beach and Tampa Bay area on a Fat Cat Fishing charter. Things To Do In St Pete. Official site for tourist and business information for the St. Petersburg Area.